Dogs are typically tolerant of human behavior due to their easygoing and loyal nature, but there might be several things you’re doing that your dogs secretly hate. Some of them are obvious, such as when it’s bath time or when they don’t get their way (leading to sulking), but it can be much subtler than that. Even more easygoing dogs are going to hate a few of the things you do, and while some things are unavoidable like grooming or vet visits, there are ways of making it easy for your dog. 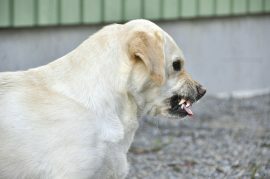 Since no two canines are the exact same, here are a few things that frequently annoy dogs and how you can avoid doing them. More often than not, dogs don’t like it when people get up in their faces—much like humans when it happens to them. Avoid placing your hands on your dog’s face, rushing toward them, or towering over them, especially when the dog doesn’t know you very well. For owners, if you have to brush your dog’s teeth or clean their ears, for example, be gentle and go slowly, rewarding them with praise or treats afterward. If you notice your dog exhibiting appeasement gestures, showing signs of fear, or acting aggressive, then back off immediately. It’s better that you be careful to avoid needing to whip out the Manuka honey after a dog bite. While it’s cute to see pictures of people hugging their dogs, it’s actually not that comfortable for the dog, as many dogs don’t enjoy hugs. Wrapping your arms around your dog’s body or neck may be seen as threatening. Many dogs will tolerate mild hugs from their trusted human owners, but this doesn’t mean they enjoy them. The better alternative is letting dogs cuddle on their own terms and petting them on their back and chest, especially if they don’t know you. Alternatively, some dogs love hugging, but it’s important to know and understand your dog’s limits by reading their body language—look for averted eyes, leaning away, licking their lips, looking worried, or similar gestures. Taking a walk outside is more than just exercise for dogs—it gives them the chance to explore their world, which they do largely through scent and then with their other senses. Rushing through your walk without letting them stop to sniff (or mark) isn’t kind of owners. It’s like being dragged through your favorite store without being allowed to look at anything, which would be frustrating if it happened every day. So, the next time you go on a walk with your dog, allow them enough time to explore their environment. It might not seem as if they like it, but dogs need rules just like children. If you have a dog who is acting out, it’s likely because he hasn’t been taught the rules. Training is a crucial aspect of creating a structure for a dog’s life, and routines are important because dogs have an internal clock. Try feeding your dog around the same time every day, and, if possible, start an exercise routine as well. After several days of a structured routine and rules, you’ll likely notice the dog is happier, with this being due to rules and routines making the dog’s world much more predictable, boosting their confidence.